Moisturize and nourish your skin with REN Neroli and Grapefruit Body Cream. The cream’s rich formula includes gamma orzanol from riice bran, a powerful antioxidant that protects your skin. REN Neroli and Grapefruit Body Cream contains shea butter and jojoba oil to deeply hydrate and nourish your skin, whilst improving your skin’s barrier function protecting against moisture loss. In addition, your skin’s natural defence system is boosted. 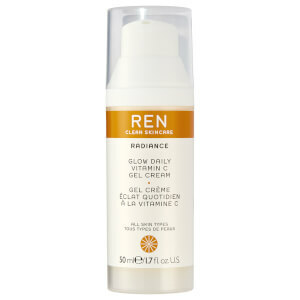 REN products are also free from many artificial ingredients such as Petrochemicals, Sulfates, Parabens, Synthetic Fragrance, Synthetic Colors, T.E.A, D.E.A, Glycols Silicones and Pegs. Apply cream and gently massage until absorbed. Shea Butter is a rich emollient. Jojoba Oil hydrates and nourishes the skin. Grapeseed Oil acts as a powerful antioxidant. Citrus Aurantium Bergamia (Bergamot) Fruit Water, Cetearyl Alcohol (Source Palm Oil), Stearyl Heptandate (Source Palm Oil), Caprylic/Capric Triglyceride (Source Coconut Oil), Simmondsia Chinensis (Source Coconut Oil), Cetearyl Glucoside (Source Corn), Glycerin (Source Coconut Oil), Vitis Vinifera (Grape) Seed Oil, Butyrospermum Parkll (Shea Butter) Lauryl Laurate (Source Palm Oil), Oryzanol (Source Rice), Phenoxyethanol (Source Aromatic Ether), Parfum (100% Natural Fragrance).